A Liberty Power spokesperson provided the following statement to EnergyChoiceMatters: "Liberty Power will be seeking a hearing in response to PURA’s notice. This is an ongoing matter in which we’ve demonstrated Liberty Power’s commitment to: a strong, transparent sales quality program, to continuous improvement, and to delivering an exceptional customer experience." The NOV states, "Pursuant to the provisions of §§ 16-41, 16-245, 16-245o, and 16-245u of the General Statutes of Connecticut (Conn. Gen. Stat. ), the Public Utilities Regulatory Authority (Authority or PURA) is issuing a Notice of Violation and Assessment of Civil Penalty against Liberty Holdings, LLC (Liberty or Company) in which the Authority fines Liberty in the amount of one million five hundred thousand dollars ($1,500,000), prohibits it from accepting new customers for six months pursuant to Conn. Gen. Stat. § 16-245(k) and § 16-245o(k), and will audit Liberty’s marketing for one year after it resumes marketing to new customers." The NOV states, "The record demonstrates that Liberty violated Conn. Gen. Stat. § 16-245o(f)(2) and 16-245o(h)(7)(A) by entering into 26,217 contracts containing early termination fees in excess of fifty dollars." The NOV states, "Liberty admitted in its Responses that it entered into 26,217 contracts with early termination fees of one hundred dollars. Response to Interrogatory CA-1. Each of these contracts violated Conn. Gen. Stat. §§ 16-245o(f)(2) and 16-245o(h)(7)(A). Liberty proffers that it did not actually charge a customer a termination fee greater than fifty dollars, but this argument is misplaced. The statute does not limit itself to prohibiting a supplier from charging a termination fee greater than fifty dollars; the statute prohibits any contract from indicating a customer would be required to pay a termination fee greater than fifty dollars. An early termination fee of greater than fifty dollars (in this case, double that amount) would affect a customer’s calculus of whether or not they should terminate a contract. That Liberty never charged a customer more than fifty dollars misses the point. Liberty could not possibly know how many customers chose not to terminate their contracts early because their contract indicated an illegal termination fee. It would frustrate the purpose of the statute to hold that Liberty could enter into contracts providing for illegal termination fees as long as it did not actually charge those fees to customers." The NOV states, "The record demonstrates that Liberty’s marketing practices violated Conn. Gen. Stat. §§ 16-245(c), 16-245(g)(2), 16-245o(h)(1), 16-245o(h)(2), 16-245o(h)(3), 16-245o(h)(4), 16-245o(j), 16-245s, 16-245u, and 42-110b." The NOV states, "The record has numerous examples of Liberty’s marketing violating Conn. Gen. Stat. § 16-245o(h)(2)(A) by not identifying Liberty as the marketer, not indicating Liberty does not represent an electric distribution company (EDC), and not explaining the purpose of the solicitation." The NOV states, "In the sample of phone calls provided to the Authority, the Authority notes that the transcripts and recordings follow the same pattern: without ever telling a customer they would be switching to a different supplier, Liberty quickly asks for the customer’s EDC account number, states a rate, and without pause, proceeds into the enrollment. Never in the audio recordings or transcripts does Liberty ask a customer if they want to enroll with Liberty or change electric suppliers. Never in the recordings or transcripts does Liberty inform a customer that the purpose of the call is for the customer to change their electric supplier. This method produces marketing in which various combinations of Conn. Gen. Stat. § 16-245o(h)(2)(A) requirements are not met, as illustrated below." The NOV states, "Liberty often does not meet the most basic standard of stating that its marketing is from Liberty. In some calls, the customer never hears Liberty’s name, an undeniable violation of the law. Response to Interrogatory CA-36, Re-filed Attachment B-1. In other calls, Liberty begins by stating the agent’s name and that they are an 'energy consultant,' Response to Interrogatory OCC-12, Attachment B-9, Line 15; Response to Interrogatory CA-38, Attachments 50, 161, 194, 201, 214, 254, 348; by stating that it is calling 'in regard to the benefit on your electric bill,' Response to Interrogatory CA-36, Attachment B-1, Lines 14-15; Response to Interrogatory CA-38, Attachment 63, 194, 201, 348; and by stating, 'Ma’am, this call is in regards to your Eversource electric bill to check if today you qualify to get the benefits.' Response to Interrogatory OCC-12, Attachment C-2, Lines 19-20; Response to Interrogatory CA-38, Attachments 25, 214. See also, Response to Interrogatory CA-38, Attachments 63, 216, 409 (Liberty states that the call is about the customer’s electric bill); Response to Interrogatory CA-38, Attachment 161 (Liberty states that the call is about the customer’s light bill). In these later examples, the customer frequently hears Liberty’s name for the first time later in the call, confusing the customer." The NOV states, "Alternatively, Liberty has stated to customers, 'I'm calling all Connecticut electric customers for Eversource because you may qualify for price protection on the cost of your electricity.' Response to Interrogatory CA-35, Re-filed Attachment D-1, Lines 23-25. Even though the quote occurs after the representative has stated he is from Liberty, it still states that Liberty is calling for Eversource, which is not only untrue, but violates the legal requirement that Liberty indicate it does not represent an EDC and would cause a reasonable customer to think Liberty does represent an EDC." "Liberty: 'And as you have been a very wonderful customer with Eversource, you have also qualified for a fifty-dollar (inaudible) gift card that will be mailed to your mailing address with your upcoming month Eversource bills…. "Liberty: 'Well ma’am I’m calling you from. 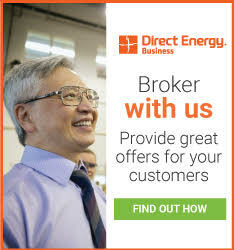 … Yes, I’m calling you from a certified and authorized supplier for Eversource. "Response to Interrogatory OCC-12, Attachment B-1, Lines 46-57." The NOV states, "Liberty’s response to the customer’s question about where the agent was calling from violated Conn. Gen. Stat. § 16-245o(h)(2)(A), which requires the supplier to identify itself in marketing calls and state that the supplier does not represent an EDC. The Authority recognizes that Liberty’s agent began this particular call by stating he was 'an energy consultant with Liberty Power,' but he did not say that Liberty Power does not represent an EDC, and when questioned, he hesitated and answered using Eversource’s name, not Liberty’s, implying Liberty was somehow affiliated with the EDC. This demonstrates one of the difficulties with Liberty’s telemarketing as demonstrated by the sales calls in the record of this docket: rarely does it comply with every aspect of the law." The NOV states, "Such an example is not isolated. In another call, the customer specifically asked, 'And who is this through?,' to which Liberty replied, 'We are a supplier for Eversource,' rather than stating its own name. Response to Interrogatory CA-35, Re-filed Attachment D-2, Lines 39-41. In another, the customer states, 'You know, I do business with Eversource. I don’t want to change,' to which Liberty responds, 'No, no, ma’am. You’re not changing. Let me help you. You’re not changing…Liberty Power is just our certified supplier company.' Response to Interrogatory CA-38, Attachment 50, Transcript p. 65-66. The Authority notes in the last example how Liberty says it is 'our certified supplier,' implying the call is from Eversource and Liberty is Eversource’s certified supplier." The NOV states, "Even when Liberty does identify itself at the start of the call, it continues in a deceptive manner." "Liberty: Hi there, sir, my name is [redacted], I’m with Liberty Power. I was calling you to speak to the person who handles your electric account. Would that be you? "Customer: W-what is this regarding? "Liberty: Your Eversource electric bill? "Liberty: Ok, great. Just so you know the call is recorded. Uh, we were just notifying you that as of your next meter reading, your account's gonna get a new low rate and that would have price protection for the next 24 months. Uh the reason we were contacting you was so that we can verify your information, so everything gets supplied to the correct account. So, I just needed you to grab a copy of the electric bill and a pen. It just takes a couple minutes and I'll get you back to your day. "Response to Interrogatory CA-36, Re-Filed Attachment H-1, Lines 19-30." The NOV states, "The fact that Liberty identifies itself in the call does nothing to cure Liberty’s deceptive actions of not honestly identify what the call was regarding even after the customer asked, implying that the transaction was going to occur regardless of the customer’s input, and implying that it was sanctioned by Eversource." The NOV states, "The evidence in the record indicates that Liberty employs even more illegal methods in its door-to-door sales, sometimes outright lying to customers[.]" "Customer: What does that mean? "Liberty: It’s just stating you’re gonna be having Liberty Power as the energy supply. "Liberty: You’re not changing anything. You’re staying with Eversource. "Customer: Yeah but I don’t want to change the supply, too. "Customer: The rate may change. "Liberty: No, the rate is going to be stabilized. It’s going to be a fixed rate, so you know what the rate will be every month on your rate. That’s what we are out here doing today so the rate is not going to change. Nothing on your bill is going to change." The NOV states, "In all of the marketing cited above in which Liberty does not indicate up front that it is the caller, the customer is left to reasonably assume the call is from their EDC because Liberty invokes the EDC’s name early in the call and tells the customer to get their EDC bill to verify the account to which the benefits should be applied. A customer who hears Liberty’s name after hearing the call is from Eversource will think Liberty is calling on behalf of Eversource and it is difficult, if not impossible, to undo such damage. The record indicates Liberty never attempts to undo such damage, and to the contrary, frequently mentions Liberty’s name only when it bombards the customer with information immediately prior to sending them to the TPV. Because of Liberty’s marketing practices, customers appear to believe (and a reasonable customer would believe) that Eversource is calling to direct them to a supplier and they willingly go along with what they think is a call from Eversource." The NOV states, "The Authority notes that these violations occurred over a multi-year time span. Liberty argues in its Response in Opposition to Motion 24 that it no longer violates these laws. Response p.5. That Liberty has so flagrantly violated the laws in the past, and especially while it was under investigation, is sufficient to warrant a substantial penalty, but the record indicates Liberty’s violations continue. Throughout 2017 and into 2018 the Authority has continued to receive complaints about similar marketing tactics from Liberty. The audio recordings obtained from Liberty in response to more recent complaints indicate the same illegal techniques as illustrated above: Late Filed Exhibit 1; Transcript p. 144, Lines 19-25. Despite its protesting, the evidence indicates that Liberty has not resolved its failures to identify itself as the caller, to disassociate itself from an EDC, and to inform a customer of the purpose of the solicitation." The NOV states, "The evidence indicates Liberty’s marketing violates Conn. Gen. Stat. § 16-245o(h)(3) by indicating the rate Liberty offers is all-inclusive, by implying a customer must choose a supplier, and by misrepresenting an EDC’s rate." The NOV states, "Liberty has informed customers in calls that its rate is all-inclusive." "Liberty: [I]t’s ten point nine cents per kilo watt an hour. "Customer: But I think I pay lower already. Um, I think I pay point eight, I don’t know. "Liberty: But not with the distribution as well. This is an all-inclusive rate, so it’s all that. "Customer: Ok, so the supplier rate I’m paying now is eight point nine seven. "Liberty: Right and that’s not with the distribution rate and stuff like that as well. "Customer: Right, cause the standard service rate is nine point five five five. "Liberty: Right and you got to add all those together and understand that’s not inclusive with it. "Liberty: But this is an all-inclusive rate, so you’re not going to be dealing with any of that. You’ll still pay, you’ll still of course pay the gross receipt tax and stuff like that, but you’re not paying the distribution and all separate charges like that." The NOV states, "This example illustrates that Liberty’s agents are misrepresenting its rates as all-inclusive and that Liberty does not ensure its agents understand and correctly represent the product they are selling[.]" The NOV states, "In many of the calls provided in the record of this proceeding, Liberty misrepresents to potential customers that they must choose a supplier. This violates Conn. Gen. Stat. § 16-245o(h)(3)(B), which forbids 'suggesting a prospective customer is required to choose a supplier.' Liberty’s transcripts show both active and implied misrepresentations in this regard. For example, Liberty states to potential customers that they do not have a supplier on the bill, tells them that as a result they are paying two generation service charges, then tells them Liberty will 'fix' the problem by putting a supplier on the bill. Response to Interrogatory CA-37, Re-filled Attachment B-156, Lines 9-12 ('Um right now you don’t have a supplier on the bill so again you’re paying two generation service charges. '); Response to Interrogatory CA-37, Re-Filed Attachments B-157-158. These sales calls violate Conn. Gen. Stat. § 16-245o(h)(3)(B) by misrepresenting by implication that a customer must choose a supplier to avoid paying two generation service charges." The NOV states, "Equally false, Liberty has misrepresented either directly or by implication that its product is required by the state or mandatory. For example, Liberty representatives have stated, '…so there has to be protection onto the uh, onto the electric bill, if there’s no protection, the state gets onto us.' Response to Interrogatory CA-37, Re-Filed Attachment B-66, Lines 93-94." The NOV states, "Replete throughout Liberty’s audio recordings and transcripts submitted as part of Liberty’s responses to interrogatories is another method of marketing that equally violates the statute. In these sales calls, Liberty quickly dives into the interactions implying that a customer must proceed with the transaction. Liberty never asks a customer if they are interested in changing suppliers and never clarifies during its sales calls that a customer is changing suppliers. Before gaining customer assent to the transaction, Liberty begins directing potential customers to provide their account information so that it can be 'verified.' The implication for customers is that their assent is not required, because at this stage, Liberty has done nothing to indicate to the customer that they are actually engaged in a voluntary sales transaction. Liberty’s marketing proceeds as if the customer must accept Liberty’s offer. See e.g., Response to Interrogatory CA-36, Re-Filed Attachment H-1, Lines 19-30 ('[W]e were just notifying you that as of your next meter reading, your account's gonna get a new low rate and that would have price protection for the next 24 months. Uh the reason we were contacting you was so that we can verify your information, so everything gets supplied to the correct account.')[.]" 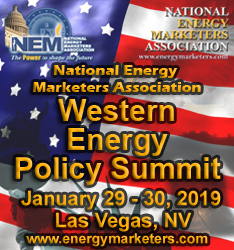 The NOV states, "The record shows that Liberty does not disclose the EDC charge at all or does not disclose the correct EDC charge in its marketing." The NOV states, "For example, Liberty has misrepresented the standard service rate, which changes every six months and is publicly noticed in advance of such change, as 'a variable rate that can fluctuate on a moment’s notice.' Response to Interrogatory OCC-12, Attachment B-1, Lines 40-41; Response to Interrogatory OCC-12, Attachment B-4, Lines 40-42; Response to Interrogatory OCC-46, Attachment A, Lines 176-177 ('Now that’s the regular variable rate for Eversource. Now with their variable rate it historically increases.'). In another example, Liberty stated, 'Right now, with Eversource, you're between fourteen and fifteen cents per kilowatt hour. Come the winter months it's going to between eighteen to twenty.' Response to CA-35, Re-Filed Attachment D-2, Lines 65-66. All parts of this statement were untrue. The call was made in May 2016, during which time Eversource was charging 9.555 cents per kWh and Eversource had not filed to raise its rates to between eighteen and twenty cents in the winter. In fact, Eversource lowered its standard service generation rates during the winter to which Liberty referred." The NOV states, "At times, Liberty’s deceptive practices are even more blatant when comparing its rate to the standard service rate. In one call, Liberty goes to the trouble to tell the customer to find the standard service rate on her bill. The customer tells Liberty the standard service rate is '7.874,' to which Liberty replies, 'I’m giving you only 0.11907.' Response to Interrogatory CA-38, Attachment 216, Transcript p. 101, Lines 23-25. The customer’s rate is not seven dollars per kilowatt hour, it is seven cents per kilowatt hour. Capitalizing on the customer’s misunderstanding, Liberty represents to her that it is giving her a savings, and a substantial one at that. This exemplifies the type of predatory actions the law means to prohibit." The NOV states, "The Authority has reason to believe that in addition to misrepresenting the standard service rate, Liberty frequently misrepresents rates of its competitors. Liberty confirmed during the hearings that its agents do not know the rate a customer is paying, yet in its calls, Liberty appears to clairvoyantly know the customer’s rate: 'Okay, y-you’re probably paying about 13 cents per Kilowatt Hour … And that 13 cents will go up and down… you’re not under agreement with another supplier are you? … You’re not locked into anything because it’s a variable rate, okay? It goes up and down.' Response to Interrogatory CA-36, Attachment E-1, Lines 184-190. Liberty could not have known the customer’s rate, whether it was variable (once again, Connecticut has not permitted variable rates for new contracts since 2015), and whether the customer was on standard service or with another supplier unless they were told by the customer. Moreover, since suppliers offer a very large variety of rates to customers, it would be impressive for any given agent to know that the precise contract associated with a 13- cent rate." The NOV states, "Liberty has also stated, 'I'm not-it-it doesn't really-that doesn't really matter because that-that price is gonna go up. It almost never goes down. I mean-it's always gonna go up. And then you're gonna be stuck paying this because it's a variable rate, it goes up and down with the market.' Response to CA-36, Re-Filed Attachment E-1, Lines 160-163. Liberty had no way of knowing if such a statement was accurate. In a similar exchange, Liberty tells the customer it 'will supply you electricity at the rate of 0.11641. 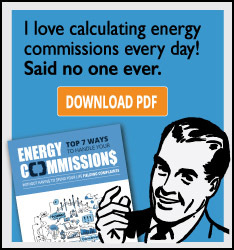 So you will be getting -- stop getting the high rate of electricity. You will just pay that better rate of electricity.' Response to Interrogatory CA-38, Attachment 50, Transcript p. 69. Once again, Liberty had no way of knowing if this statement was true, and if the customer was with standard service, the statement was false, as standard service rate at the time Liberty made this statement was $0.06606." The NOV states, "The evidence shows that Liberty violated Conn. Gen. Stat. § 16-245s by not following proper third-party verification procedures." The NOV states, "When a customer indicates that they do not wish to continue with the verification, Liberty should stop the process, which the record shows it does not do." The NOV states, "Liberty’s transcripts and recordings are replete with examples of Liberty coaching customers about what to say in the verification." The NOV listed a transcript from a TPV and stated that in such example, "First, the verification attempts to continue despite the customer not being able to answer the questions, clearly violating Liberty’s own policy of discontinuing a TPV if a customer asks questions. See Response to Interrogatory CA-31, Attachment A. Second, Liberty’s agent then steps in to tell the customer exactly what to say. Third, if the purpose of third-party verification is to ensure customers understand the transaction, a customer that has to be coached as to what to say cannot possibly have understood the transaction. Yet the majority of Liberty’s audio recordings and transcripts contain this very sort of coaching, which Liberty embraces. Liberty tells potential customers how to respond to every question to ensure the verification is complete. Such coaching undermines the very purpose of an independent verification, a process Liberty testified it relies upon to ensure a valid enrollment." The NOV states, "The record contains examples of Liberty instructing customers that they cannot ask the verifier questions. Response to Interrogatory CA-36, Lines 315-316 ('[T]hey’re gonna talk with you now, just answer with a Yes or No and hold all your questions, okay? '); Late Filed Exhibit 1, Transcript p. 166, Lines 17-18 ('But just to save your time and my time please don't ask any questions.'). A customer that has a question should still be engaged with Liberty and should not be in the verification process. It violates the purpose of an independent verification if Liberty puts off a customer’s questions until after enrollment." The NOV states, "The record indicates Liberty violated Conn. Gen. Stat. § 16-245o(h)(1) by not directly training its third-party agents." The NOV states, "In its responses to interrogatories and in the hearings, Liberty admits that it does not directly train all of its third-party agents." The NOV states that in some instances, "Liberty trains someone at the vendor and then that person trains their own staff. As explained by Liberty’s panel at the hearing, Liberty relies on its third-party vendors to train new agents that join a campaign after the campaign is in progress." The NOV states, "Liberty’s panel admitted during the hearing that Connecticut law requires a supplier directly to train its agents and that it had not begun this process until the second quarter of 2018, the time period during which the hearings in this matter were held." The NOV states, "The previous examples of Liberty’s marketing practices meet all criteria of deceptive marketing. The record shows that Liberty’s marketing is likely to mislead customers in several ways: Liberty does not state in all calls that the call is from Liberty; Liberty often invokes Eversource’s name in a way that implies Liberty is affiliated with Eversource; Liberty sometimes indicates or implies it is the sole supplier for Eversource; Liberty misrepresents the EDC standard service rates and that the EDC standard service rate is variable; Liberty implies that customers must engage in the transaction and pushes customers to provide their account information prior to obtaining informed consent; Liberty often implies that customers must have a supplier; and Liberty sometimes misrepresents its own rates as being all-inclusive and being lower than standard service. A reasonable customer would interpret all of these practices the following ways: a reasonable customer would think that when Liberty begins a phone call by saying it is calling about his Eversource bill without also clearly stating where they are calling from, Liberty is affiliated with Eversource; a reasonable customer would think that when Liberty states it is 'calling you from a certified and authorized supplier for Eversource,' that Liberty is affiliated with Eversource; a reasonable customer would think that when Liberty states it is the supplier for Eversource, that Liberty is the sole supplier for Eversource; a reasonable customer would think that when Liberty says she has a variable rate her rate constantly or at least frequently varies; a reasonable customer would think that when he is promised an 'all-inclusive rate' the rate includes every charge; and a reasonable customer would think that when a call begins by invoking Eversource’s name, asks for her Eversource account number, and then begins an enrollment process, that she is required to engage in this transaction for Eversource. Finally, all of these examples, which are not a comprehensive collection of the myriad violations in the record of this docket, affect consumer decisions and conduct because they implicate costs or engagement with an EDC." The NOV states, "The record indicates that in the past and through the present, Liberty has deceived customers into thinking that nothing is changing as a result of their interaction with Liberty. When customers protest that they do not want to switch, Liberty answers that everything 'will remain the same.' Late Filed Exhibit 1; Transcript p. 162, Lines 18-25, p. 163, Lines 1-3; See also, Interrogatory CA-38, Attachment 50, Transcript pp. 65-66 ('You’re not changing.'). It does little good for Liberty to add into the final clause of the last sentence of its entire marketing pitch that Liberty will show as the supplier on Eversource’s bill after it spent several minutes purporting that nothing will change and the customer will still receive the same Eversource bill. A reasonable customer would think that 'everything will remain the same' except that they are getting a lower rate or 'price protection,' and not realize they are signing up with a different supplier and a different, frequently more costly, rate." The NOV states, "The Authority has read dozens of Liberty transcripts and listened to hundreds of Liberty telesales and door-to-door sales calls, and a clear modus operandi appears: Liberty begins the conversation with the potential customer by stating the purpose of the call is to see if the customer 'qualifies for benefits' (or some similarly deceptive phrase), Liberty asks two questions regarding solar panels and government benefits, then exclaims congratulations and praise that the customer has qualified. Without clarifying that Liberty is the caller or the purpose of the call, Liberty sprints these customers through an enrollment process at a dizzying speed. The record shows that Liberty engages with customers in a deceptive way that misrepresents what is occurring and leaves the customer with little time to realize what has occurred. Moreover, the Authority notes that the majority of the recordings obtained from Liberty are telesales calls to elderly individuals or individuals for which English is a second language, two groups that would be particularly vulnerable to such deceptive marketing practices." The NOV states that Liberty’s Connecticut gross revenue in 2017 was $30,412,314. The NOV states, "Thirty million dollars is a significant amount of revenue to have made from Connecticut customers while Liberty shirked its legal obligations. The penalty the Authority has assessed is appropriate when the significance of Liberty’s violations is compared with its gross revenues." The NOV states, "The Authority has reason to believe it has uncovered evidence of grave, systemic violations by Liberty in the present case. Even with extensive discovery (the Authority issued fifty interrogatories to Liberty and OCC issued eighty-two interrogatories to Liberty), one is left with the impression that the Authority has uncovered but the tip of the iceberg. Liberty’s marketing violations are emblematic of the type of deceptive and unfair marketing practices that the law is intended to prevent and the Authority has worked hard to eradicate." The NOV states, "Liberty proffered several times in the July 24, 2018, hearing that it had changed many of its practices as a result of the 'Assurance of Discontinuance' it signed in New York. This appears to be Liberty’s manner of operation – violate the law until forced to comply by a regulatory authority, then cite to changed practices in an attempt to escape repercussions. A supplier that waits until it is implicated in an investigation to change its behavior is not a supplier exhibiting a concern for customers. Moreover, the Authority notes that much of what Liberty changed was its policies, but as illustrated, Liberty’s policies substantially differ from its practices." The NOV states, "Liberty’s systemic failure to enforce its own policies illustrates how Liberty attempts to shield itself with its policies while encouraging quite different practices. Liberty admitted at the hearing that it did not follow the written policies it supplied as interrogatory responses. Liberty’s admissions undercut all of its written policies. The Authority is left to believe that Liberty writes the policies simply to defend itself from allegations of wrongdoing and to placate regulators who attempt to investigate it. Moreover, when presented with evidence of blatant violations of statutes during the hearings in this matter, Liberty often tried to excuse the behavior of its agents. See e.g., Transcript p. 657-663. Such actions do not indicate a good-faith effort to achieve compliance, nor the ability to ensure future compliance." The NOV states, "The Authority also notes that Liberty has exhibited a disrespect for this adjudicative body and this investigation. Liberty designated the same witness as responsible for all of its interrogatory answers, but hearings clearly revealed she had limited to no knowledge of many of the interrogatories. OCC’s first series of questions to Liberty during the hearings illustrated that Liberty did not provide its regulatory and compliance personnel as part of the hearing panel and that the panel had not reviewed the interrogatory questions prior to the hearing. Transcript p. 467, Lines 20-21 ('There’s the primary resource for regulatory and compliance --- is not on this panel. '), p. 471-473, 718-719. Multiple times the panel indicated that it was not familiar with a document in the record or if the document was correct. See e.g., Transcript p. 475-76. Throughout the hearing, it was shown that Liberty supplied inaccurate information in its interrogatory answers – information that was readily contradicted by its witnesses. This leads the Authority to wonder who prepared Liberty’s interrogatory answers and if Liberty takes seriously its obligations regarding candor to this tribunal. Moreover, Liberty revised many of its interrogatory answers multiple times (the last revision coming at 8:16 p.m. the night before the first hearing), not due to updates in policies, but due either to inaccuracies in the original answers or Liberty’s desire to tweak the answers to serve its needs. Liberty hid behind the volume of interrogatories (a volume of which the Authority was well aware as it read and studied every interrogatory prior to the hearings) and claimed that it was not required to leave no stone unturned in responding to an interrogatory. Transcripts p. 266. Yet during the hearing Liberty witnesses were able to recall multiple incidents that should have been revealed in interrogatory answers. The Authority doubts it would require unearthing any stones to find information so readily recalled when questioned." The NOV states, "Liberty’s violations go to the heart of the intent of the electric supplier market. The Connecticut legislature set forth a statutory scheme to balance the benefits of electric supply with the customer protections necessary to facilitate a fair market. If suppliers are allowed to systemically violate the legal protections created by the legislature, it erodes confidence in the entire supplier market. The Authority’s response to such violations will take into consideration the harm they cause to customers and to the market as a whole." The NOV states, "Liberty’s violations cause the Authority to question Liberty’s technical and managerial capacity. Therefore, the Authority will continue to monitor Liberty’s marketing actions for one year from the date that it begins marketing to new customers again (after its prohibition on acceptance of new customers expires). The Authority will direct Liberty to maintain complete audio recordings of the entire interaction for all telemarketing and door-to-door sales calls made by it or on its behalf by any third party. To ensure Liberty complies with all legal requirements, the Authority will periodically request and audit select audio recordings and will require Liberty to produce transcripts of those recordings. Upon the Authority’s request, Liberty will provide the Authority with the dates, times, and locations in which it will conduct any form of marketing, including but not limited to telesales, door-to-door and in-person marketing, and the Authority reserves the right to observe and audit such marketing. The Authority will establish other auditing procedures for other forms of marketing in which Liberty may engage, including but not limited to, obtaining and reviewing the content of any electronic marketing materials published through internet websites, emails, or texts or any hard copy marketing materials used internally by salespersons, such as sales scripts, and/or distributed to prospective customers via mail delivery or hand-to-hand delivery. If Liberty does not adhere to these monitoring requirements or if the Authority finds further violations as a result of monitoring, the Authority will subject Liberty to further penalties and/or begin proceedings to revoke its license."